Star Ware Rebels fans rejoice- you're only a few short days away from new episodes hitting Disney XD. Following an earlier screening of the season 2 opener to whet your appetite back in the summer, Season 2 proper gets going from October 14th. A brand new trailer was revealed at New York ComicCon and is now also available to view online. The trailer packs in an awful lot to its generous running time. It's safe to say that fans are not going to be disappointed as it looks to be holding up the quality of season 1. In fact, it's looking even better thanks to the presence of a certain deep-voiced villain. 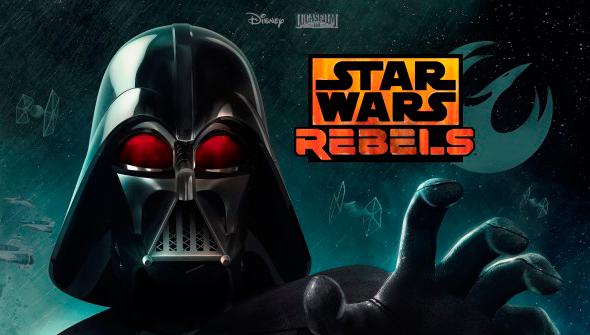 With Lord Vader on board, Rebels look set to head into darker territory- and with James Earl Jones returning, it seems set to redeem Darth from the whole Episode 3 'noooooo' debacle to boot. Many people feel that Rebels feels more in the true spirit of Star Wars than anything in the prequels. This impressive trailer certainly keeps that up, with plenty of classic touches from the Universe of the movies, but adds lots of neat touches of its own as well. Check out the trailer for yourself below!